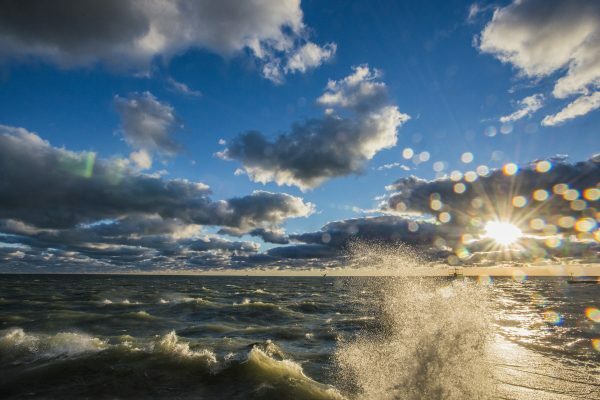 A version of this story originally appeared in the Alliance for the Great Lakes 2015 Annual Report, published in May, 2016. In Green Bay, a handful of farmers are taking the lead on curbing nutrient runoff from their fields. The Alliance has been helping bring together farmers, county land managers and others on the front lines of nutrient pollution to share practices and encourage dialogue that links land conservation and water quality. Those efforts have culminated in a series of roundtables that connect and support farmers who are committed to improving water quality in the watershed. 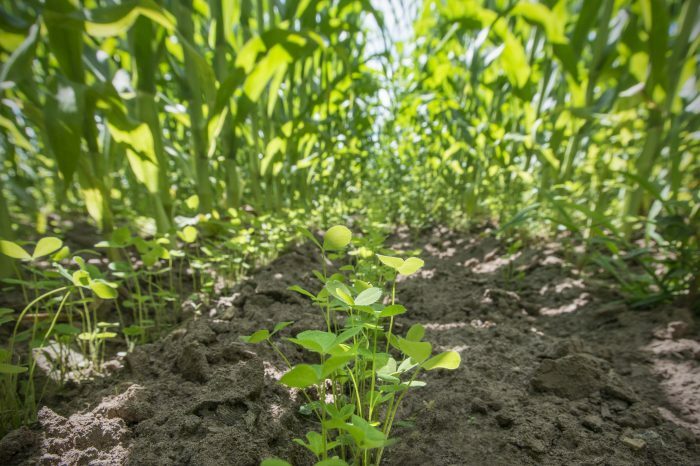 The Alliance has seen unprecedented level of interest from area farmers, some of whom are emerging as local leaders in the effort to restore clean water in Wisconsin and Green Bay. Dan Brick, owner of Brickstead Dairy Farm in Greenleaf, Wisconsin, is one of a number of dairy farmers in Northeast Wisconsin experimenting with ways to keep algae-promoting phosphorus pollution — mainly from manure spread on farm fields as fertilizer — out of Green Bay. Brick planted a small cover crop of red clover in the traditionally empty, shaded spaces between the tall corn rows. Known as “inter-seeding,” the practice keeps the soil on the land and out of the bay of Green Bay after the harvest. 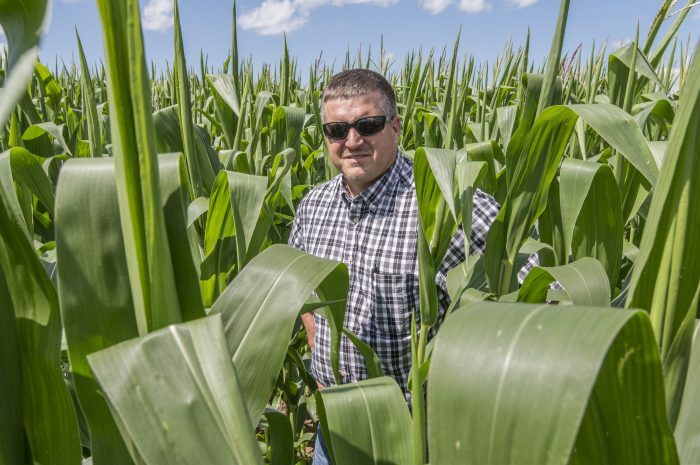 Brent Petersen, Demonstration Farm Network manager for Brown County, works with farmers who are modeling how to curb farmland runoff to protect their land and the waters of Green Bay.